When Beer in Food make a baby. This six-course meal pairing was a pleasure to your taste buds. It is amazing how Barley and Board (B&B) was able to bring out a deeper essence of these beers that I already love! The service as always flawless from the moment you walk into B&B, the door is opened for you, and the host will always place you in the perfect spot. Ours was cozy, welcoming table nestled next to the bar. 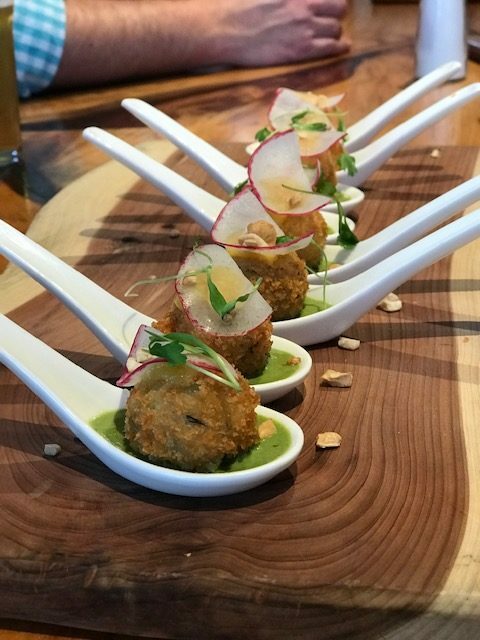 First, our Curried Crab cake spoons. The cutest soup with a crab cake ball placed in a shallow pool of green curry and mango puree, topped with hebs, crushed cashews and radish arrived at our table. 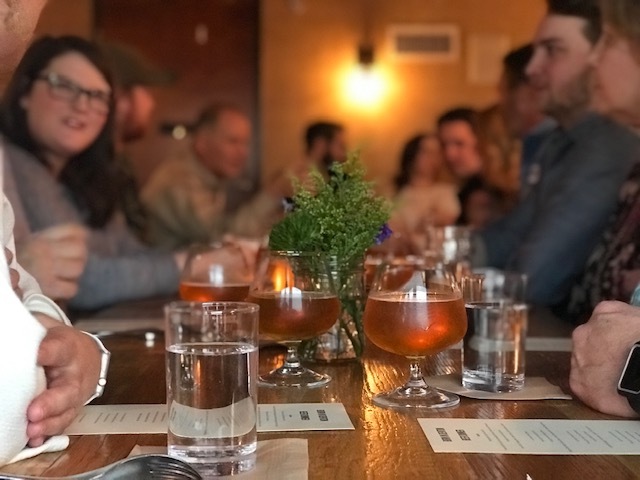 It was paired with perfectly brewed pale ale from the Boys Down the Hill (created as a collaboration brew between Barley & Board, Denton County Brewing Company, and Armadillo Ale Works). 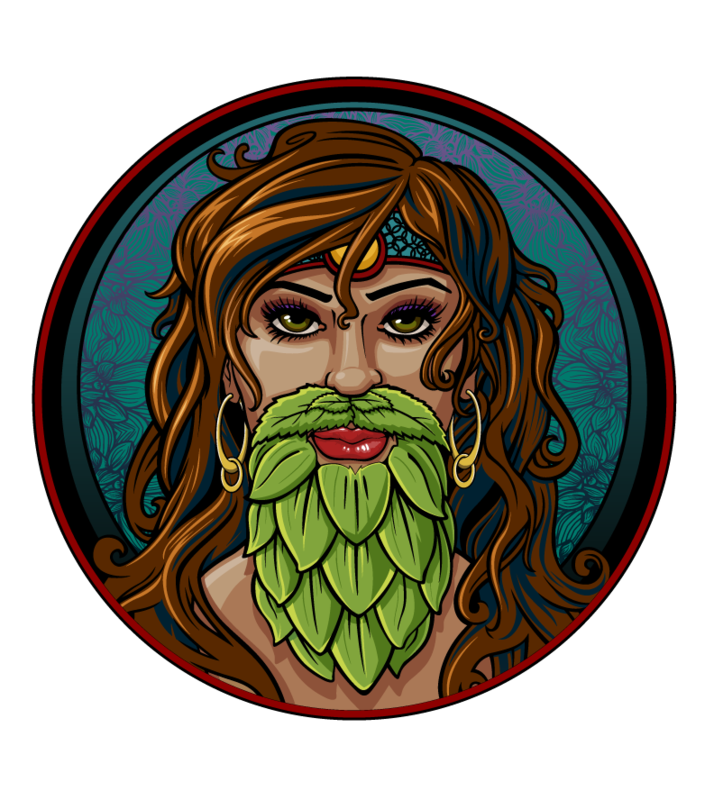 A lightly hopped ale with a full mouthfeel like a wheat and bright flavors of citrus. The beer brought out the spices in the curry and the lemon drop hops acted like that squeeze of lemon that tops your crab cake. This savory paring set the stage for what was to come. Next, we traveled to an intimate little spot upstairs. The second course was prosciutto-wrapped pears partnered with Honey Please from Armadillo Ale Works. This pear was wrapped in prosciutto topped with toasted hazelnuts and drizzled with honey the pear brought out the pear and prosciutto brought out the honey in the beer and the goat cheese brought a new flavor I learned of… a mesquite bean which kale-like flavor. Next (3rd), the reason I was here! The Blueberry Fortune a beer that is like eating blueberry waffles with maple syrup on top! 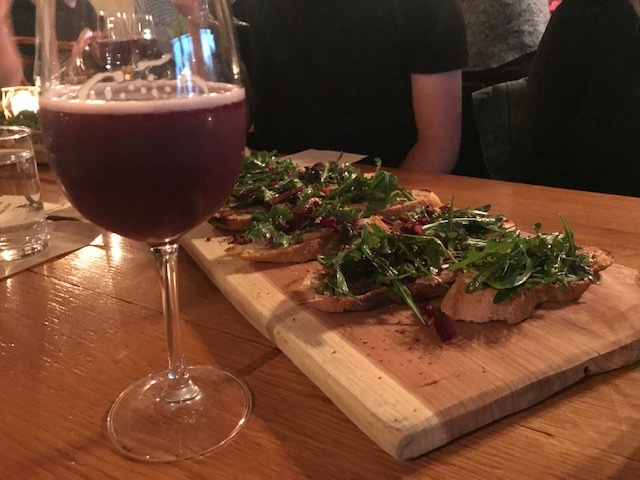 She was paired with chicken liver mousse on top of grilled sour dough topped with pickled beets, shallots, lemon zest, arugula and pink peppercorn. A perfect pair. The earthiness and spice of the liver cut straight through the sweetness to mellow it out, and the lemon zest complimented the lemon drop hops, and the arugula adds just the perfect amount of freshness. Next (4th) course was Denton County’s Home Grown Hero a wheat ale made from Denton grown wheat and malt paired with slow roasted pork belly placed perfectly over mangu (mashed plantains) topped with a red pepper puree. 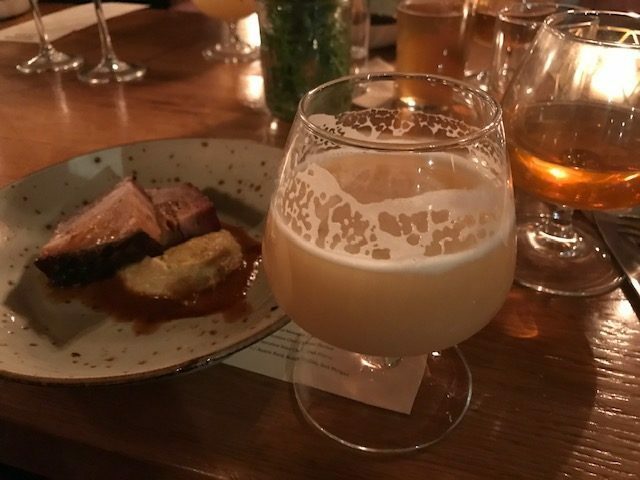 The sweetness of the plantains quickly cut out the dryness of the Home Grown Hero to reveal a delectable maltiness, and the melt in your mouth pork belly (you could literally cut it with a fork) complimented the velvet mouth feel creating a smooth sip. Next (5th) course Seared duck breast paired with the Quackertown stout. 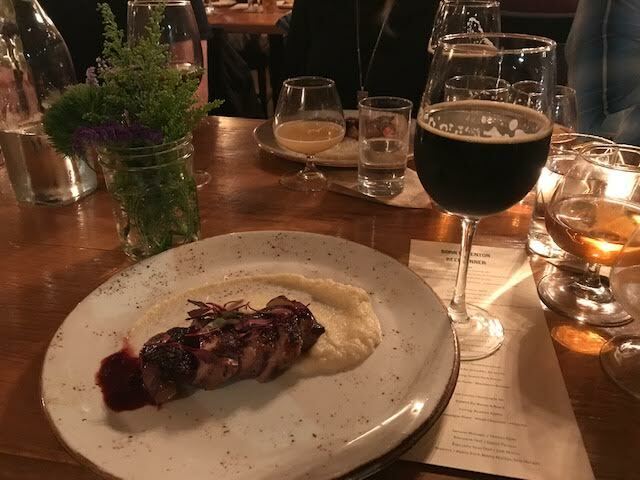 The seared duck breast sitting on a couch of a celeriac puree (not celery… is root bulb) rubbed with a dust of chocolate and coffee, topped with blackberry balsamic. The celeriac and duck dust toned down the bitterness just brought forth a coffee sweetness flavor within the stout and the gaminess was able to bring out the chocolate within the beer. Last course. The night was ended in a celebration! 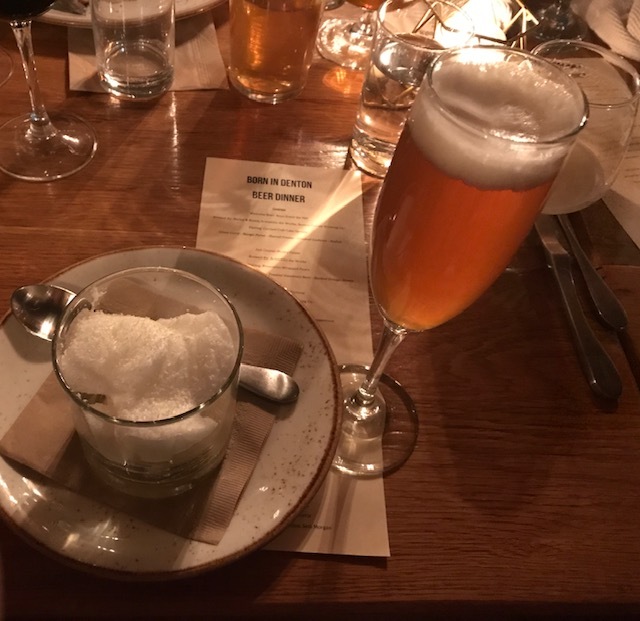 A champagne Ale made by Austin Ford at B&B paired with roasted apples buried in a cloud of champagne foam sprinkled with white chocolate and pistachio. The champagne ale was soooo good. This ale was so perfectly made in an insane method! Methol Chapmaignua, ferment the beer in a champagne bottle upside down and when that’s done, you release the sediment plug, you then top it off with donor wine and it re-carbonates. The snowy little mountain over the roasted apple complimented the beer greatly. It brought out an amazing bright flavor followed by an expensive wine aftertaste! This Brut Ale has changed by ideas on champagne inspired beers. 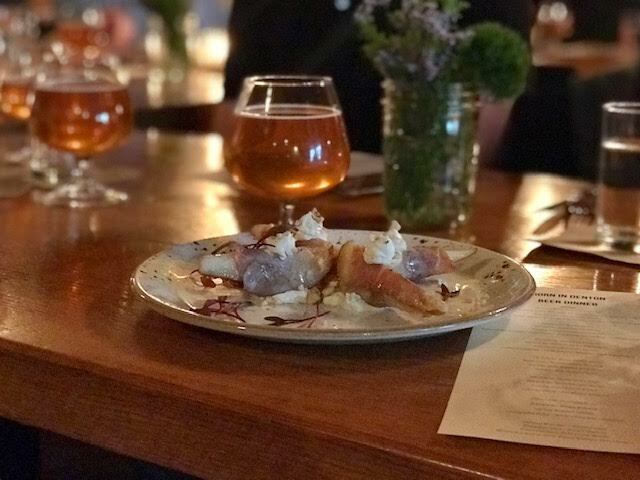 This Beer Dinner was beautifully arranged! 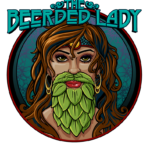 The service was perfect and the food was exquisite… the beer always fantastic. Thank you Barley and Board. The Vlog for the night! Beware… The tipsiness is there!